Nike expanding their Air VaporMax Utility lineup with a bold new release that applies a simplified tonal motif up top and bright neon sole. 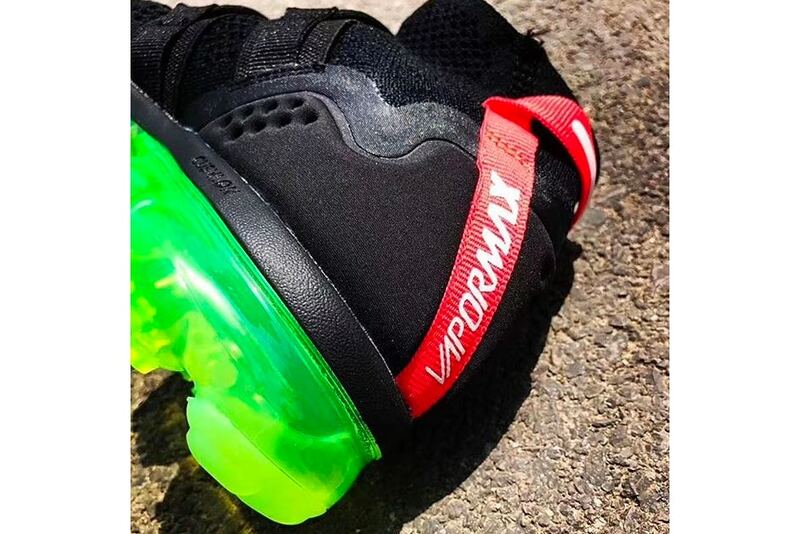 This version takes on a black Flyknit-constructed upper with a branded “Solar Red” strip detail placed at the heel and the “Neon Green” VaporMax sole unit sitting below provides sharp contrast. The mini Swoosh emblem rests on the front bumper.